At the Annual General Meeting held on 29th March 2019, at the Intercontinental Hotel Lusaka, a Final Dividend of 0.025489 Kwacha per share for the financial year ended 31st December 2018 was approved by the shareholders of Zanaco Plc. This would bring the total dividend paid out to shareholders to ZMK36.8M for the financial year ended 2018. In accordance with the requirements of the Securities Act No. 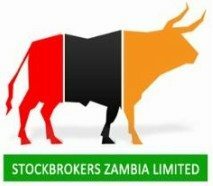 41 of 2016 and the Listing Rules of the Lusaka Securities Exchange, Notice is hereby given that the Final Dividend shall be payable to shareholders registered in the Company’s books as at close of business on Friday 3rd May 2019. The Payment date will be on or about Monday 6th May 2019. Therefore, the last trading day to be eligible to receive the dividend is Tuesday 30th April 2019.